When the original Guitar Hero released back in November of 2005 it was the start of a cultural phenomenon that still seems to be growing by leaps and bounds some three and a half plus years later. 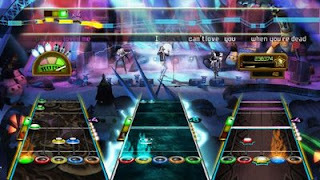 The latest entry in the franchise, Guitar Hero Smash Hits, is a spin-off compilation disc that is so jammed pack with features it almost feels like a full-fledged entry in the series. That said, there are a few quirks with this game that doesn't quite make it the best Guitar Hero game on the market.